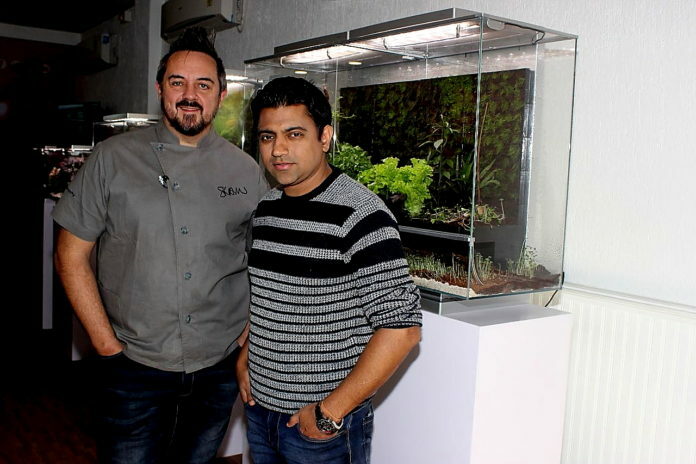 Kolkata, 9th January 2018: ‘Biopod’, an App, to control self contained ecosystem was launched today in association with Fface at Vison Aqua in presence of Celebrity Chef Shaun Kenworthy, Indronil Mukherjee, Fasion Director, Fface. Mr. Neil Roy, Founder-Director, Fface; Mr. Samrath Mehta and Sayantan Neogi from Biopod were there to address the media. Biopod is an app controlled microhabitat that automatically regulates temperature light, humidity, ventilation and rainfall. It creates the ideal environment to grow fresh organic herbs at home.  The initiative is an extension of Fface Campaign. Biopod has numerous applications in the field of Home Agro, Education, Conservation and Decor. With India gearing up to be the largest smartphone user base in the world, the Biopod can help the community to conserve and grow organic food in their own homes. Celebrity Chef Shaun Kenworthy was there for an event entitled ‘Chef’s Herb Garden’ along with FFACE models who was judged by Shaun on their knowledge about nature, herbs and plants and their involvement in saving ‘Green’. Vision Aqua, the India connect for Biopod will award the 2 winners in this event in the FFACE 2018 Calendar launch. Shaun will choose his favourite ‘Biopod’ and give his byte as ‘Shaun’s Biopod’ and why he loves it.